Easy access to the Maya C++ API. 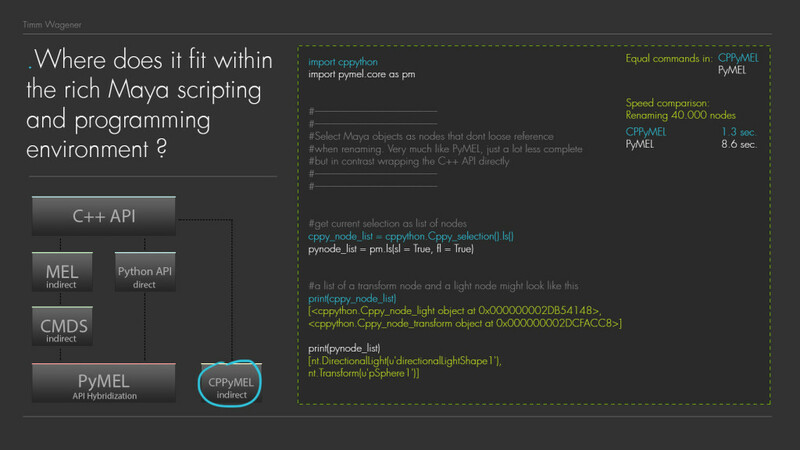 Completely bypass MEL or the Maya plugin system to run your C++ inside Maya. 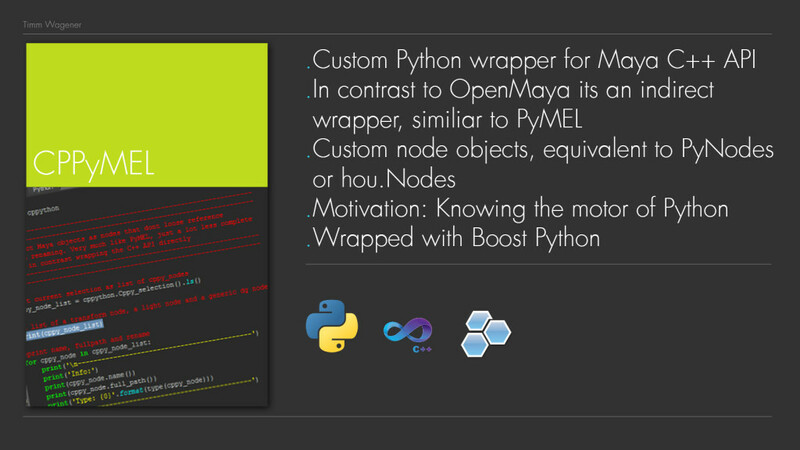 Custom node objects, similiar to PyNodes or hou.Nodes that offer name and path agnostic reference to Maya objects. Automatic node specialization, for example light or transform nodes, with custom functionality. Failure behaviour similiar to PyMEL, if a node holds a reference to a non-existent Maya object. A figured test example: Renaming 40.000 nodes with PyMel and CPPyMel. PyMel (using PyNodes): 8.6 sec. CPPyMel (using cppy_nodes): 1.3 sec. 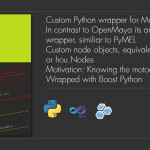 An indirect Python wrapper to the Maya C++ API. Aiming to expose functionality known from PyMel with the increased speed of a direct C++ Python binding.